4.) Let him sing and blow everyone away, including Buble, with his singing ability. Don’t believe me. Watch this video. Thanks Fark.com for posting this! Buble really goes wild. I mean, look, is it awesome that the kid can sing well? Yes, of course. Do you have to pick him up? That may be crossing the line. I laughed. Buble is a great sport. Plus, it are these moments that can make a kid’s life. I mean, what a story. Yeah, I impressed Michael Buble with my singing voice. No big deal or anything! You can quote me on this: Nelson will not serve jail time. Why? Well, first off, he is a 76-year-old celebrity musician who advocates marijuana usage and will never stop smoking. Jailing Nelson would just be stupid. You would be depriving the public of Nelson for a period of time because he was in possession of six ounces of marijuana. Seriously! Sometimes I question the law. Legalize it. Tax it. Make money. Nelson can go on and do what he does…and he will be providing money for the U.S. Government in the process. Instead of propagating this conservative hoopla of arresting people for possession. Let’s keep the law and lawyers out of a place they do not belong…Willie Nelson’s tour bus. So, you know how occasionally when I review a new band I mention how their sound reaches back to the old days of rock n’ roll, 60’s style. Well, Liam Gallagher has made his living trying to be Paul McCartney on every Oasis album. Now that Oasis has broken up, Liam has gone on to bigger and better things, exploring more musical styles and finally breaking free from the grip of attempting to copy 60’s music. Did you believe that last sentence? Yeah, I am not a good lier. 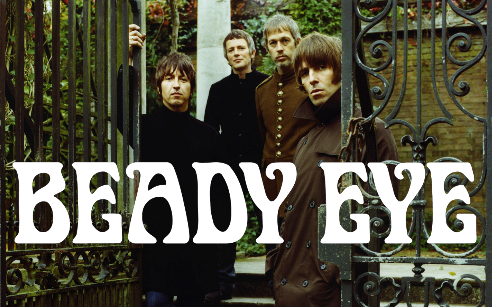 Liam’s new project, Beady Eye, is a flat-out copy of 60’s everything. Here is their new album cover which was just released. Seriously. Can you rip the 60’s off anymore? Listen, I do not mind being inspired. Heck, 60’s music inspires me too. But, when you have spent your entire career unsuccessfully copying music from an era 45 years ago, maybe you should just collect your money and stop. I shouldn’t say he has been unsuccessful. Gallagher has made a lot of cash doing this. Just stop. I don’t need to hear your music anymore. But, if anyone is interested. 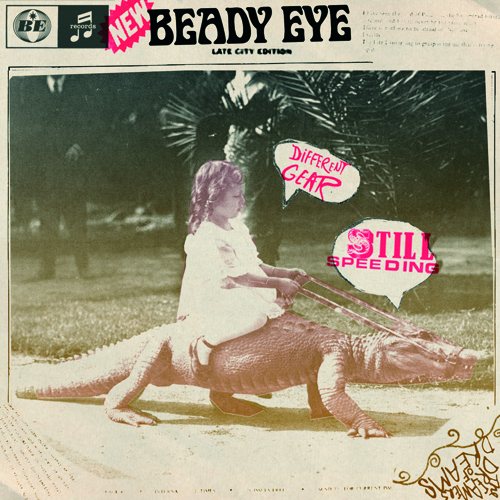 Here is a song from Beady Eye. It sounds like “Great Balls of Fire” with the piano. It is like early 60’s fused with some background musicians attempting to harmonize with the nasally Gallagher. Well, enjoy!